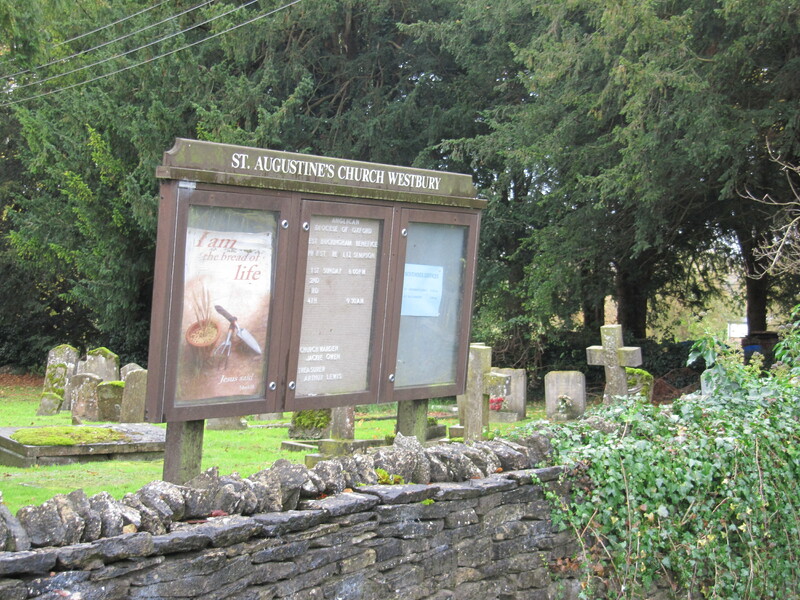 St Augustine of Canterbury is a church serving the village of Westbury. It is the only place of worship in the village and aims to provide a place where people of all ages and all backgrounds can feel welcome. The church of ST. AUGUSTINE consists of a chancel measuring internally 30 ft. by 17 ft., south vestry and organ chamber, nave 40 ft. by 20 ft. 6 in., north aisle 6 ft. wide, south aisle 7 ft. wide, north porch, and west tower 8 ft. 6 in. square. It is built of rubble with stone dressings, and the roofs are covered with slate and tiles. The church dates from the 12th century, and consisted then of the present nave and probably a small chancel. In the 13th century the chancel was rebuilt and widened towards the north, and the small tower, which projects some 4 ft. into the west end of the nave, was added. The south aisle was built at the end of the 13th century and the north aisle some twenty-five years later, though the latter was considerably repaired at a subsequent period. The fabric was restored in 1863, and the vestry and porch are modern. 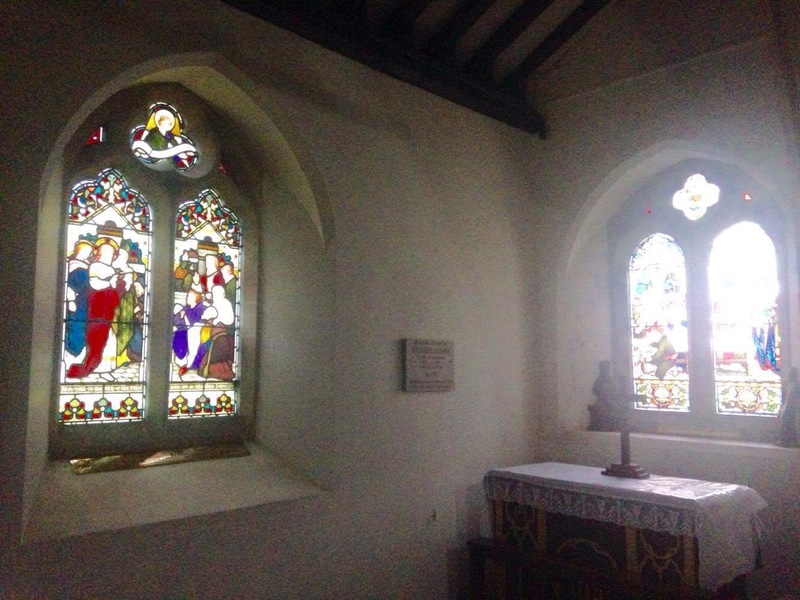 The chancel is lighted by a modern traceried window in the east wall, an original lancet at the east end of each side wall and a 14th-century low-side window at the north-west, the last being of one trefoiled light with a transom, below which the light is blocked. All these windows have modern rear arches. At the west end of the south wall are a modern arch and doorway to the vestry and organchamber, and at the east end is a piscina with a cinquefoiled ogee head and modern bowl. The wide chancel arch, dating from the 13th century, is of two chamfered orders, the outer continuous down the jambs and the inner supported by semi-octagonal responds with moulded capitals. Above the capitals the arch has been rebuilt. 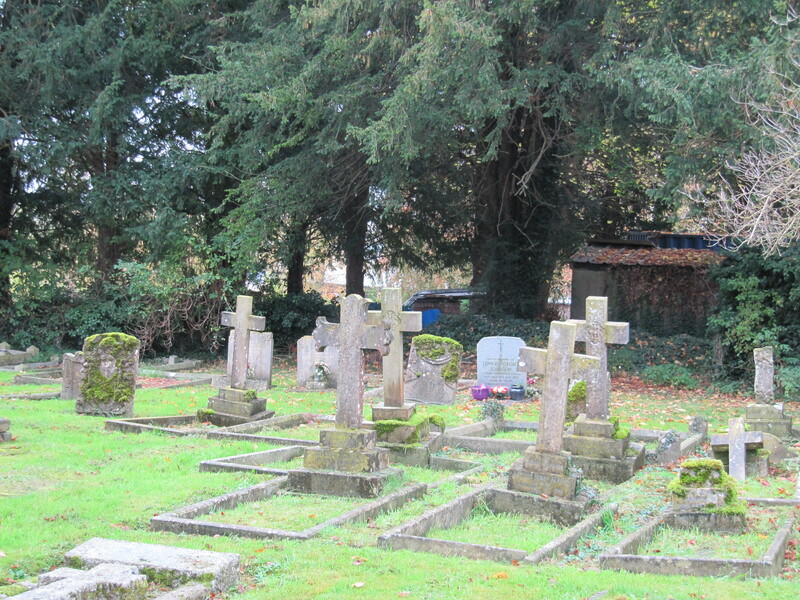 The nave is of three bays, and has a modern clearstory with circular cusped windows. Both arcades are of three pointed arches supported by octagonal pillars and responds with moulded capitals and bases. The south arcade dates from the end of the 13th century, and the capitals of its responds are embellished with nail-head ornament. The north arcade is of about 1320, though the mouldings of its capitals and bases seem to have been somewhat altered at a subsequent period. The pointed tower arch in the west wall of the nave is of a single order with an indented label, and dates from the early 13th century; the responds, which are formed of octagonal shafts with moulded capitals and bases, do not appear to be in their original position. There is a square-headed recess to the south of the chancel arch which probably formed the reredos of a nave altar, but its lower part is now built up. At the north-east of the nave is a small ogee-headed piscina of about 1400, without bowl. Both aisles have been extensively restored, and, with the exception of some old jamb stones re-used in the north aisle, the windows and doorways are modern. Several fragments of mediaeval wrought stones have been incorporated in the walling of the south aisle, among them a 15th-century carved head. The tower, which has been considerably restored, is of three stages, and has a modern saddle-back roof. The windows of the ground stage and bell-chamber are modern, and the ringing chamber is lighted by small loops on the north and south. The font and pulpit are modern. There are some fragments of old painted glass reset in the south window of the vestry, and on the floor of the chancel are several mediaeval encaustic tiles. The tower contains a ring of three bells: the second is by Henry Bagley, 1711; the treble, which was also by Henry Bagley, 1711, but had become broken in two parts, was recast in 1898; the tenor, inscribed with seven letters in Gothic capitals, arranged independently, is of about 1600, and probably from the Bedford foundry. The church registers begin in 1558. 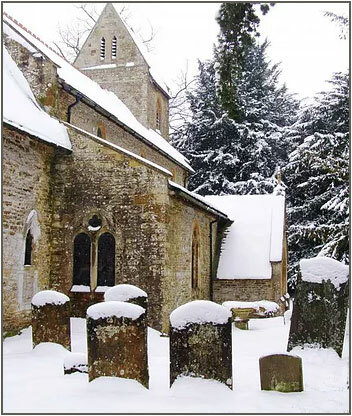 Westbury is part of a benefice of six churches and the services rotate. The service schedule is available here. Please visit the West Buckingham Churches website for more information and events.